It’s impossible not to begin with the ending of “Useful Idiot,” so let us set the scene. 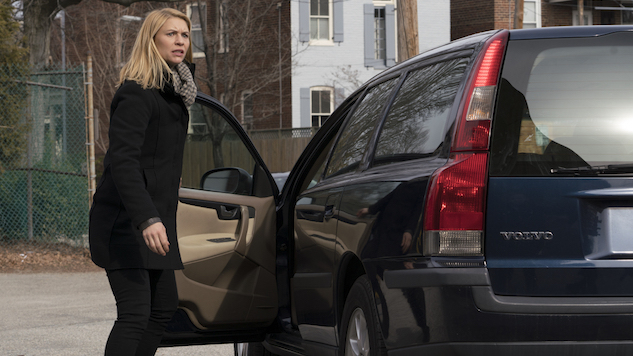 Carrie Mathison (Claire Danes), frantic at the thought of her sister gaining custody of Franny (Claire and McKenna Keane) after the action of “Andante,” sweeps into her daughter’s school and intimidates the principal into releasing her early. Simultaneously, she receives a phone call from Dante (Morgan Spector), made at Gromov’s (Costa Ronin) behest, in which he asks if she poisoned him. (Reminder: She did.) Despite her multiple betrayals, Dante warns her of Gromov’s whereabouts, at which point she dashes out of the school sans Franny, hops into her station wagon, and nearly mows the poor kid down trying to get out of the parking lot. The series of images that follows, first imagined—Franny bloodied, crumpled on the tarmac—then remembered—Brody hanged, in “The Star”; Rahim murdered, in “From A to B and Back Again”; Quinn sacrificing himself in “America First”—is, for all the contrivances that get us there, the closest Homeland’s come to a mission statement this season. If Season Six began as the series’ attempt to reckon with itself, Season Seven seems poised to end with Carrie doing the reckoning: She, more than Sen. Paley (Dylan Baker), has been the useful idiot here, and the episode’s final image, in which our heroine hallucinates a confrontation with herself, suggests that she’s become our villain, too. Unfortunately, arriving at this point—setting up an endgame for the season, and perhaps the series, which is slated to conclude next year—also means that “Useful Idiot” further unravels the tension of “Species Jump,” which turns out to have been a high-water mark and not a launch pad. Like, we’re supposed to care about Gromov and Simone Martin’s (Sandrine Holt) airplane-hangar farewell after learning they were in cahoots approximately 14 seconds before the end of last week’s installment? We’re supposed to believe that Dante, after all of Carrie’s dirty tricks, would risk his life to blow up the operation he’s spent so long pulling together? (On this front, I suppose we’ll have to wait and see if and how the writers choose to clarify his cryptic message to her: “You have an idea of who I am and what I did, and it’s nothing like that.”) We’re supposed to buy that a “grasping partisan” can also be “a patriot,” as Saul (Mandy Patinkin) describes Paley, though plenty of actual members of Congress put the lies to this every day? Yeah, no. Though Carrie may in fact be a stooge, I’m not entirely convinced, not after that ending. We’re just about due for this season’s “Something Else Is Going On” moment, and anyway the point of that final sequence is not that Carrie’s been played—it’s that she’s the controller of destinies, the puppet master, the angel of death. “Listen to her voice as she works out how to lie to you,” Gromov says, in the episode’s most arresting line, and much of this season has indeed focused on that particular skill, the way she uses it on her daughter, her sister, her mentor, her lover, herself. Whatever Carrie’s not seeing yet—whatever she’s lying to herself about—seems likely to be the subject of next week’s episode, which is titled “Clarity.” After all, she is her own worst enemy, our hero and our villain, both the series’ lock and its skeleton key.